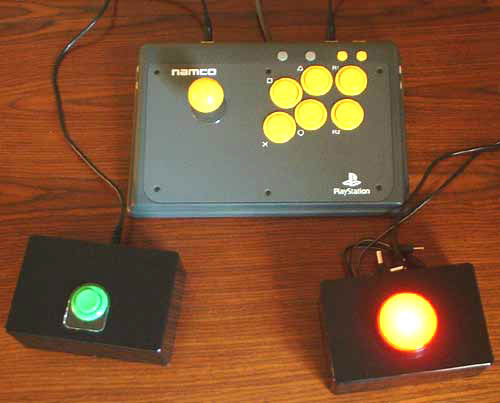 Connect up to 14 disability standard switches to control a PC, Playstation One or Playstation 2 with an adapted Namco Arcade Stick. Comes with a free CD of switch utilities and games. 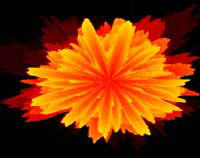 View photo slide shows (PC). N.B. Switches, PC and Playstation not included. Namco units are reconditioned but in excellent condition. 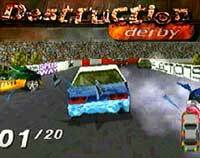 Analogue joystick functions are not supported meaning that many PlayStation 2 games will not be playable. However 99% of PSone games will work well on a PS2. Rear View: The 14 sockets can be turned on or off, useful whilst the helper navigates menus. Comes with a PC USB connector (design may differ) and free accessibility software CD including the superb JoyToKey. Instructions - Loads of Playstation ideas and help. Adapters - How to use this switch interface with Sega Dreamcast, Saturn, Megadrive, Nintendo NES, SNES, Neo Geo, PC Engine and MB Vectrex games machines. Retro heaven! D.I.Y. 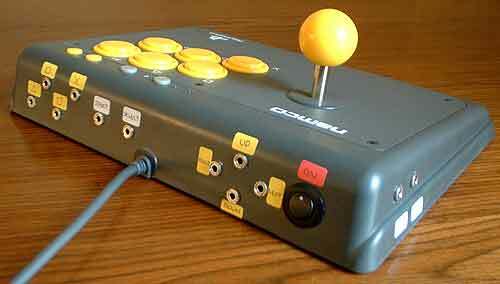 - Step by step guides for adapting your own Namco Arcade Sticks. Other Console Switch Interfaces - Such as the C-SID which is highly compatible with the PS2 and can be used with Xbox 360, Playstation 3 and Wii to varying degrees.